The inhabitants of Saint-Louis will soon benefit from sanitation infrastructures. Mansour Faye, the Minister of Hydraulics has just launched construction work on several sites in the town of Saint-Louis, which has more than 237,000 inhabitants and is located in north-west Senegal. 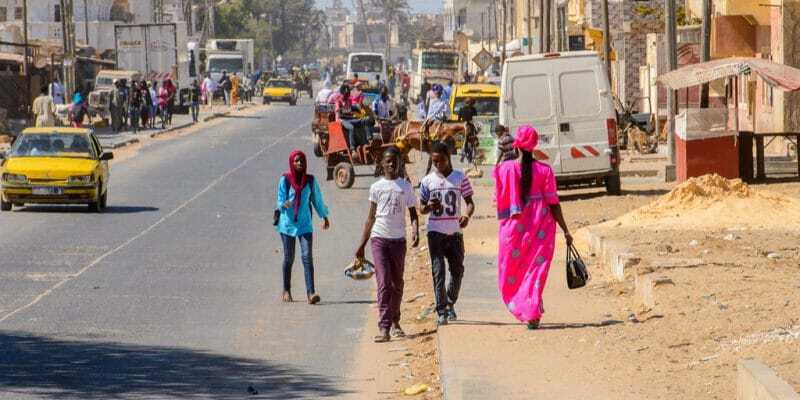 The districts concerned by these works are: Guet-Ndar, Pikine 1 and 2, Pikine route of Dakar, Ndiolofène South, Niakh neighbourhood, Diamaguène, Ndiolofène north, the suburban area of Sanar Peulh, Saed Boudiouck neighbourhood, Ngallèle north and south. In the entire city of Saint-Louis, more than 75 km of wastewater network will be developed, enabling 6,200 residential connections. The authorities also plan to build 10 wastewater pumping stations in the city, as well as a rainwater pumping station in the Pikine district. The collected sewage sludge will be treated at a plant to be built in the coming months. City schools will be equipped with 50 urinals. Total cost of these construction works: 15.5 billion CFA francs (nearly 24 million euros). “This sanitation project will significantly improve the living and health conditions of the populations of the targeted districts of Saint-Louis,” said Lasana Gagny Sakho, director of Senegal’s National Sanitation Office. The sanitation project in the city of Saint-Louis has received support from the Arab Bank for Economic Development in Africa (Badea). This financial institution injected a sum of 8 billion CFA francs (more than 12 million euros). This funding will rather be directed towards the work on the island of Saint-Louis. In recent years, Badea has strengthened its cooperation with African countries, notably Benin where it finances several development projects. The other financial boost to the Senegalese government’s sanitation programme comes from the West African Development Bank (WADB). The institution will grant a concessional loan of 70 billion CFA francs (over 106 million euros), of which 54 billion CFA francs have already been released. This sum should make it possible to build and install sanitation infrastructures in at least 10 Senegalese cities. The sanitation programme for the 10 cities was initiated by the Senegalese government. It was launched by Macky Sall in March 2017 in Louga, western Senegal. Sanitation infrastructures will be built in the cities of Dakar, Pikine, Rufisque, Louga, Tambacounda, Kaolack, Matam, Saint-Louis, Tivaouane and Touba. The government estimates that this project will reach nearly 3 million people throughout Senegal. 2019 is the date set by the government for the completion of the programme.